This is a Fancy Jodhpuri Style Maroon Gold Kurta Pajama w/ Jacket. 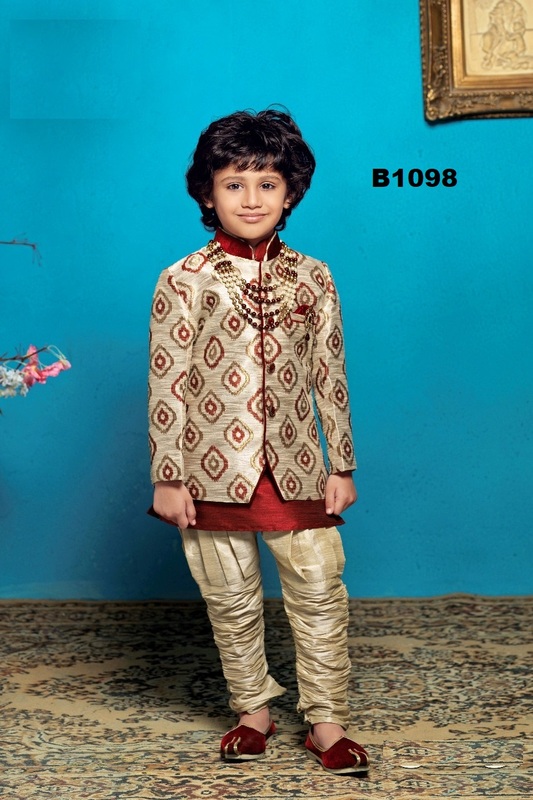 Dress your child in this Traditional Design Indian Sherwani Kurta Suit costume for any occasion - birthday, wedding or for celebrating festivals. Buy Fancy Jodhpuri Style Maroon Gold Kurta Pajama w/ Jacket, sold & shipped by Varshini Collections where you can shop online for Kids Ethnic Indian Wear & Ladies Kurtis.